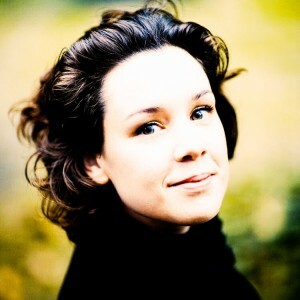 Con Brio’s first ever Lieder concert is performed by two musicians of exceptional artistry: Dutch Soprano Lenneke Ruiten has an extremely busy international career and has been recently engaged in a major European tour singing Bach Mass in B minor with Sir John Elliot Gardiner and the Monteverdi Choir. 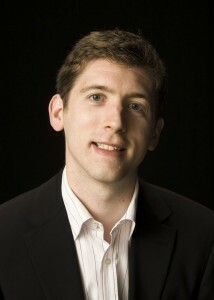 Our own Finghin Collins (no stranger to Sligo as he has been a guest of Con Brio many times) is rising rapidly in international music circles and will have his debut performance with the BBC Philarmonic in September 2010 as part of the BBC Proms. The programme chosen for this performance is an eclectic mixture of songs from France, Germany, Italy and England. Debussy’s Cahier Vasnier were the author’s tribute to Madame Vasnier, a singer he met when he began working as an accompanist to earn some money. She and her husband gave Debussy emotional and professional support. The Bellini cycle, Sei ariette per Marianna Pollini was published in 1829. The set was dedicated to Mariana Pollini, who, with her husband Francesco, a retired piano teacher from the Milan Conservatory, was a close friend, almost a surrogate parent for Bellini during his early adult years. Wagner said of Bellini that he was “all heart connected with words”. Clara Wieck-Schumann’s works have been obscured by her husband Robert’s fame but are now increasingly performed. The three Schubert songs Frühlingsglaube, Gretchen am Spinnrade and Die Forelle are amongst his most popular pieces. Benjamin Britten was one of England’s most gifted composers whose collaborations with poet W.H. Auden produced a number of significant works, of which the Cabaret Songs are perhaps the lightest and most immediate.